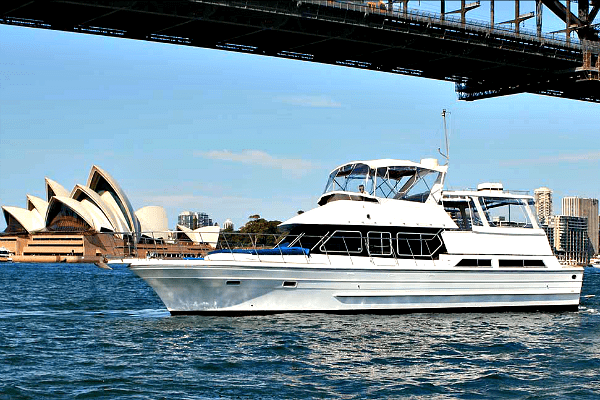 Ambiance is a 52′ Ranger motor yacht for corporate entertaining, sightseeing and private social group cruises for up to 32 guests. The tone of Ambiance is one of comfort and relaxation. 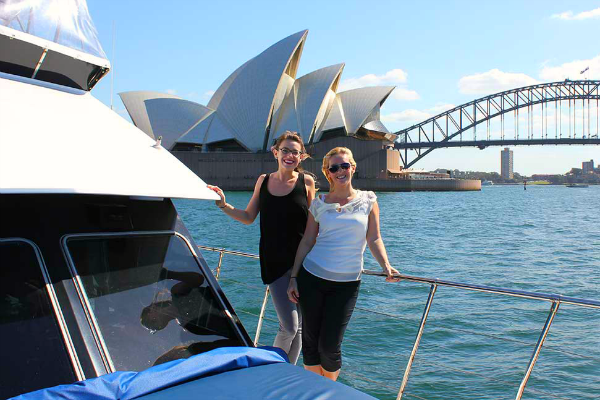 With friendly crew and a private yacht layout, the scene is set for a memorable event on spectacular Sydney Harbour. 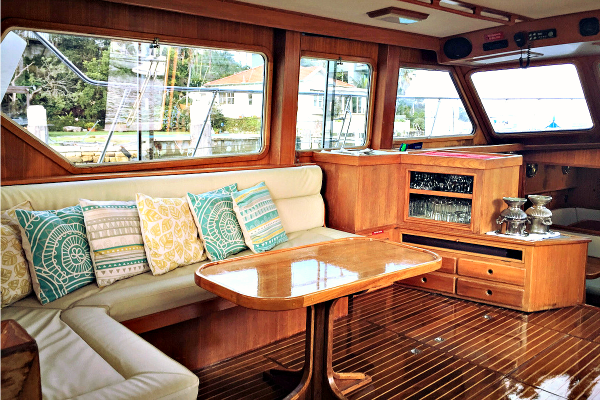 The boat also features a large enclosed aft deck where up to 14 people may dine in a formal setting. The large bridge deck is only 3 steps higher which allows easy communication between the 2 areas. Below the fly bridge is a comfortable lounge, featuring ample seating, the bar and A/V equipment. There is a large sundeck forward and a cockpit and swim platform aft. 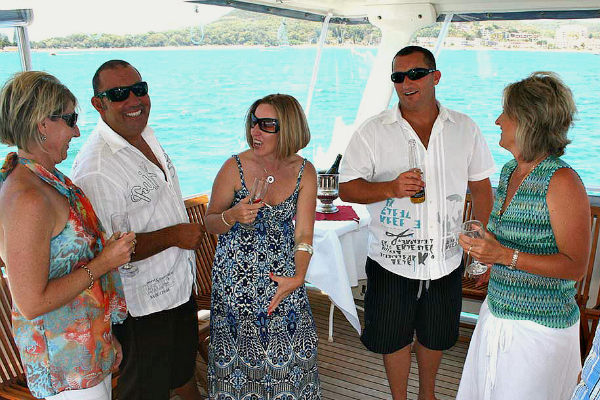 Ambiance is a versatile boat for corporate entertaining, sightseeing cruises and social functions.